By Bryanna Royal | December 6, 2018 | This post may contain affiliate links, which means we may receive a small commission, at no cost to you, if you make a purchase through a link. Read our Disclosure. Florida is a BIG state. To drive from the top west corner to the southernmost point of Florida is going to take you a good 12 hours. 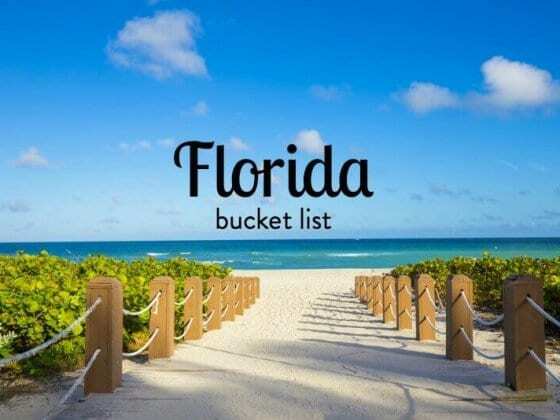 The great thing is there are a lot of cool things to see and do and places to visit in Florida as you drive through the state. Ok, let’s talk about where to go in Florida. Pensacola has amazing white sand beaches. All you want to do is grab a cocktail from the local beach bar and layout in the sun and play in the surf all day long. We highly recommend taking at least a day to do that and when you are well rested, head out to visit some of the amazing locations in the Pensacola area. 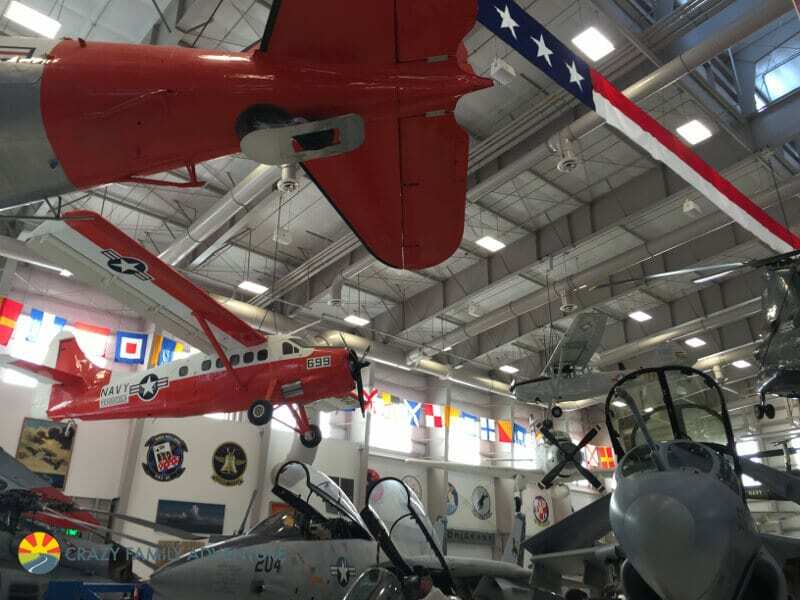 This free museum is the world’s largest Naval Aviation museum and with 350,000 square feet of space, it is filled with Naval aviation history and hundreds of restored aircraft. It can take a good half a day to get through the whole museum and if possible, schedule your visit during a Blue Angel practice. 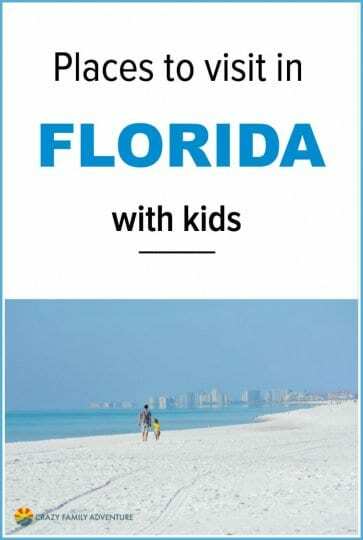 We highly recommend it as one of the best things to do in Florida with kids. 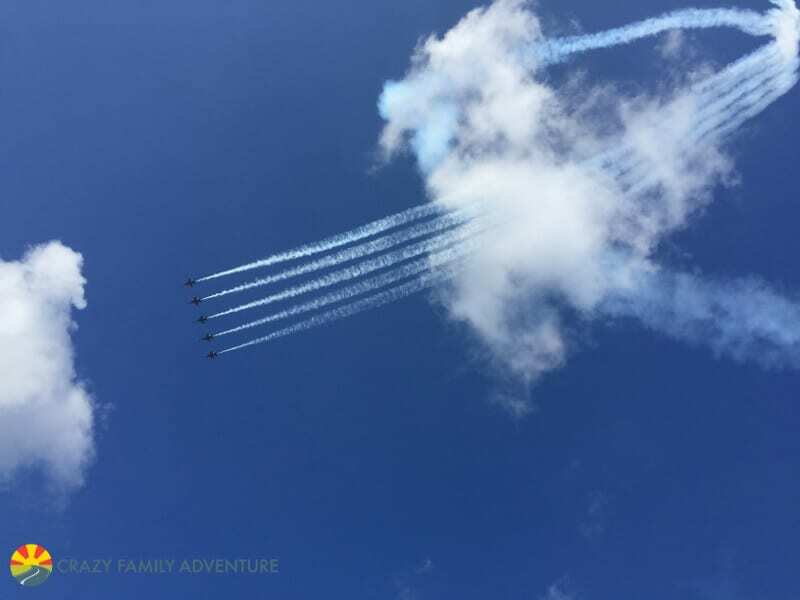 The Blue Angels put on an amazing show of aerial feats that will have you looking up in amazement. The sights and sounds will not be forgotten! 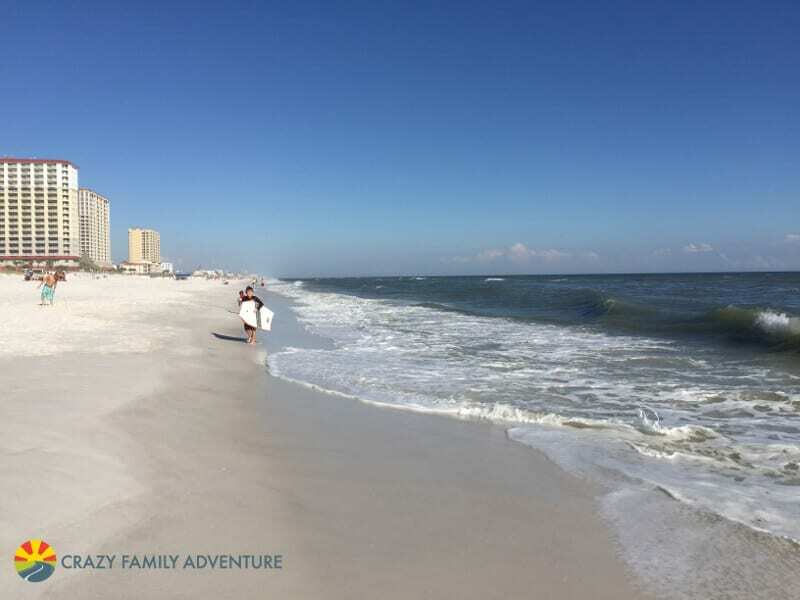 The National Sea Shore runs along the coast in Pensacola and is home to some of the most beautiful sand we have seen and the waters are a beautiful aquamarine. You enter the park and drive through miles of sand on each side of you and then come upon beautiful beaches to swim, relax, or play on. Fort Pickens was completed in 1834 after the US decided to fortify all of its major ports. You are now able to go and walk among the ruins of the fort and get a feel for what the soldier’s life was like back then while looking out over the beaches and ocean. In Destin, the beaches are filled with soft white sand and the water is crystal clear with a hint of emerald green. The sunsets are phenomenal and there is nothing like sitting on the beach, listening to the waves, as the sun beams down on you. What we love about Destin is if you want a quiet beach scene you get that when you are on the beach. If you want activity and action you head to the main road which is about a half mile from the beach and you have every shop, restaurant, and activity you could want. 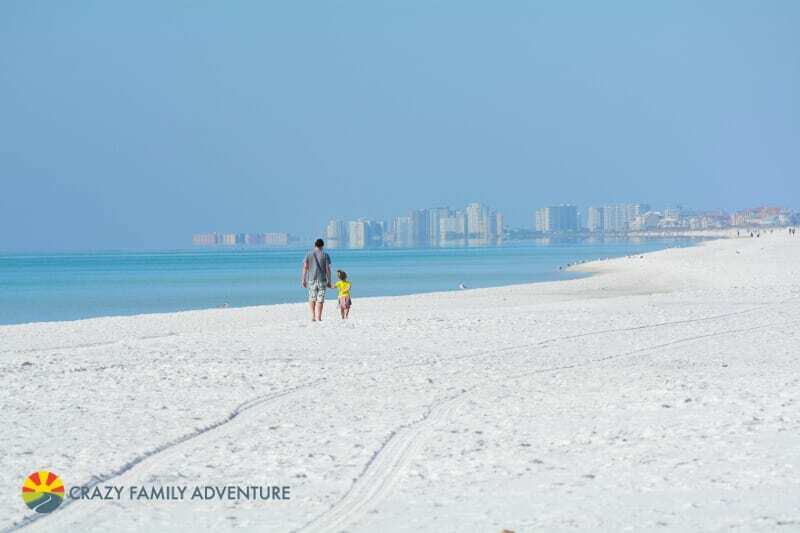 Destin is definitely one of the best things to do in Florida with kids. If you travel with kids, you don’t want to miss the Pirate Cruise! The crew of the ship keep your kids busy from the time they board the ship until you are back in the harbor. They include a water gun fight, pulling a sunken treasure chest up from the ocean, and plenty of dancing and games for everyone to enjoy! If you want to see dolphins in the wild, this is the cruise for you. We saw tons of dolphins swimming and playing in the ocean and some of them even came up to swim next to our boat! The captain said all day their crews are talking to each other so that they know where the dolphins have been so they can almost guarantee you will see dolphins on your trip. One of the coolest things to do with kids in Florida. The other highlight of our cruise was the kids getting a chance to drive the boat! 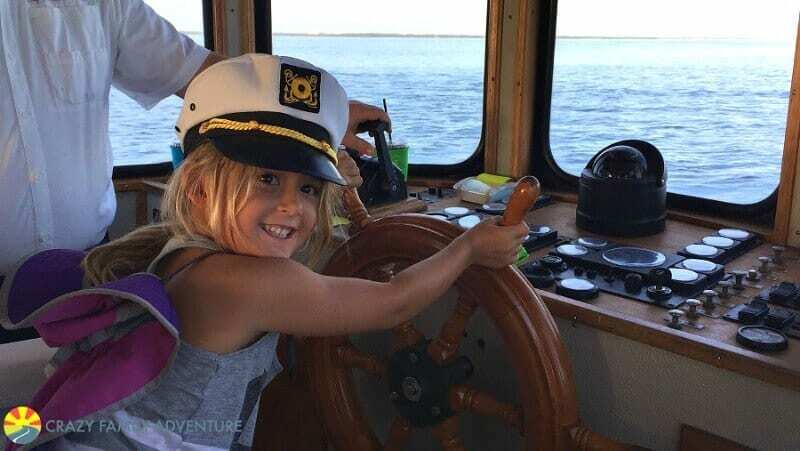 They had so much fun getting in the Captain’s seat and steering the boat through the water while on the lookout for more dolphins. 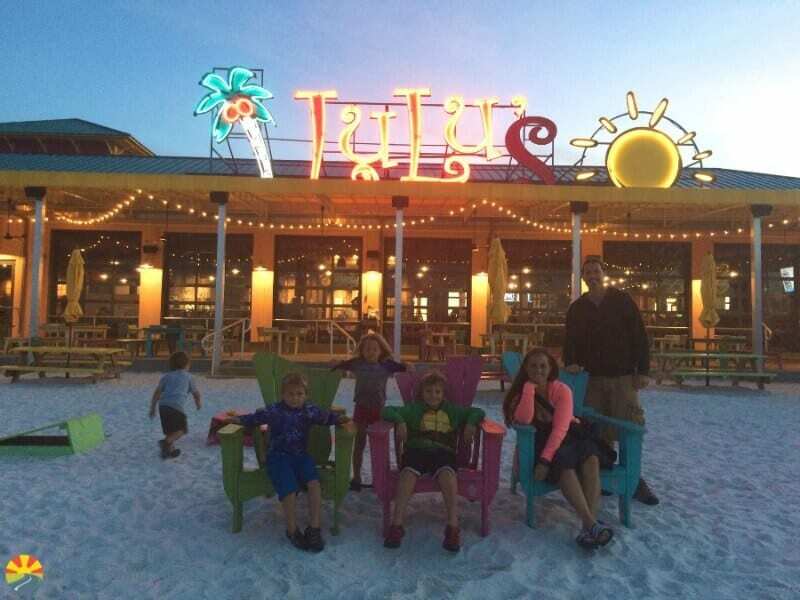 When in Destin, you don’t want to miss out on dinner at LuLu’s. The menu has a large variety and also caters to any food allergies or requests. The food was great and so were the drinks, but the best part is the setup. The restaurant has outside seating with a beach that is filled with toys for the kids to play with. Anyone that has gone out to eat with kids knows that kids don’t like to sit still. LuLu’s was perfect. We could sit outside at the picnic table while the kids played in the sand while we waited for our food. We spent a month in Destin and can’t wait to go back. Destin is one of our favorite places to see in Florida! The sunsets are amazing and the white sand beach and crystal clear ocean water are always calling our name! One of the best places to visit in Florida for history is St. Augustine. As you walk down George Street you feel like you are walking back in time and drinking from the Fountain of Youth feels surreal. The city itself is beautiful then add in the ocean and the surrounding attractions and you have a great family travel destination. We almost didn’t visit the Alligator Farm since we were short on time, but we are so glad that we did! We ended up spending a whole afternoon there. They have a huge collection of alligators, crocodiles, and caimans including a 15 foot 3-inch saltwater crocodile named Maximo that you can view from underwater viewing window! Plus we got to see a mama albino alligator and her albino babies. Plus we got to see a mama albino alligator and her albino babies. We then headed to Alligator Swamp where there were literally hundreds of alligators that we could drop food down too. It was definitely scary being out on the pier, but wow, what an experience! You can also watch the staff feed the large alligators in the Alligator Lagoon. All of the alligators are named and from what we could see it definitely looked like they understood their names. We were also able to hold a baby alligator when we were here and got a few fun pictures with it. As you can see our youngest was OK being back by the tail, but didn’t want anything to do with being by the alligator’s mouth. They have an amazing collection of alligators and also have an array of other animals from birds to reptiles. 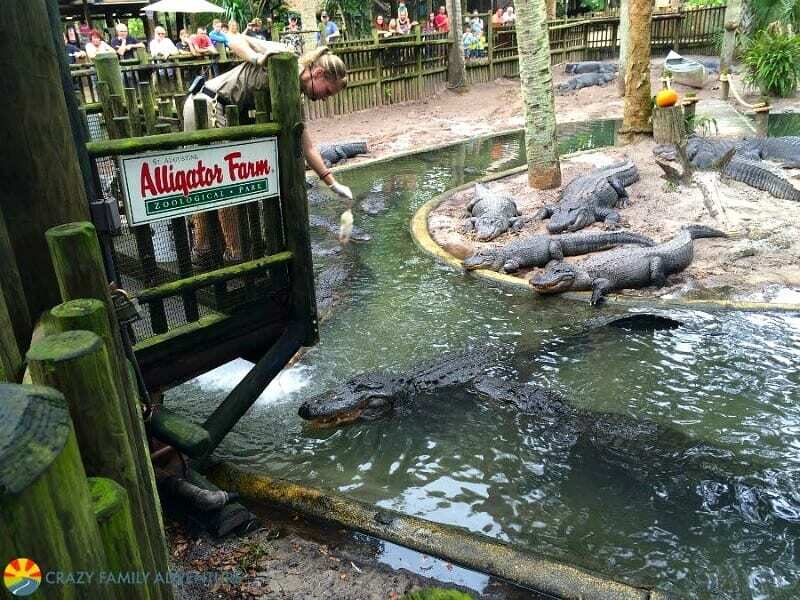 When in St. Augustine you don’t want to miss the Alligator Farm and be prepared to spend the whole afternoon exploring the farm and also catching a few of their shows. Yes, at first I thought it was cliche and was going to just be a little fountain where we all went and drank the water and that was it. I was wrong. The grounds are really cool and tell a great story about the history of the area. We were able to bring our dogs with us when we visited the Fountain of Youth and they were able to drink from the fountain too! We thought that was really cool. Who doesn’t wish their dog could live forever. 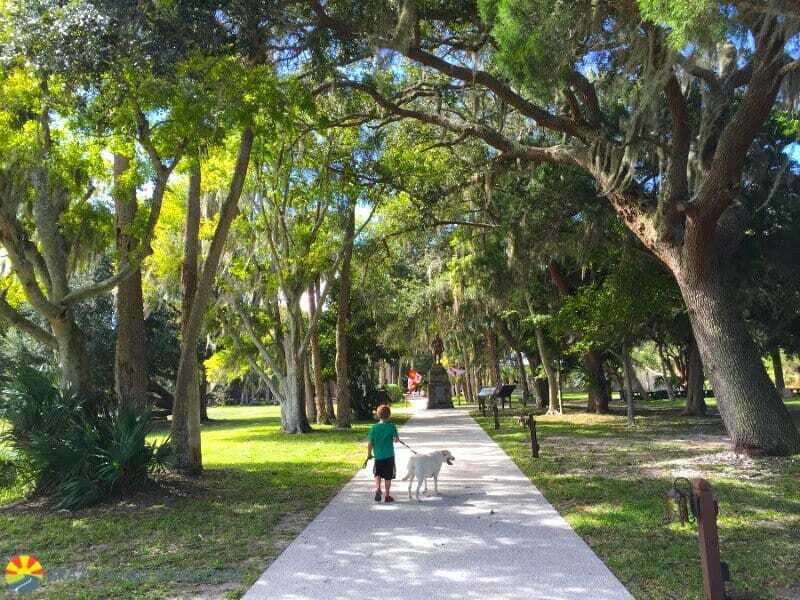 St. Augustine is a very dog-friendly location and a lot of attractions and restaurants in the area let you bring pets with you. 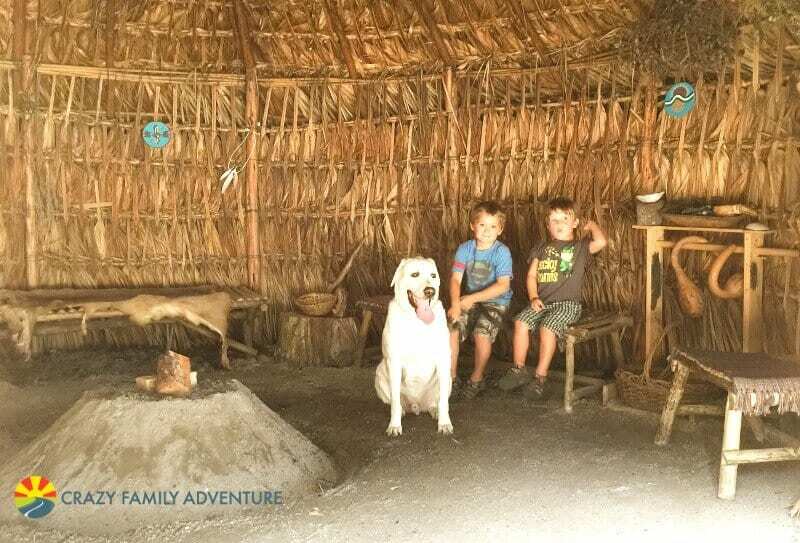 We were then able to explore the grounds where they had a large Timucuan family house, and a Nihi Paha, a special meeting house recreated to show how the Native Americans used to live in the area. There was also staff on hand to give demonstrations and presentations about how the Timucuan lived. The next stop was the cannon demonstration. Wow, that was loud! There is also a 600-foot pier that goes out over the water and back through the beautiful grounds. It had such a peaceful vibe to it and we are glad we went, drank the water (was worth a shot right! ), and walked around exploring the area. 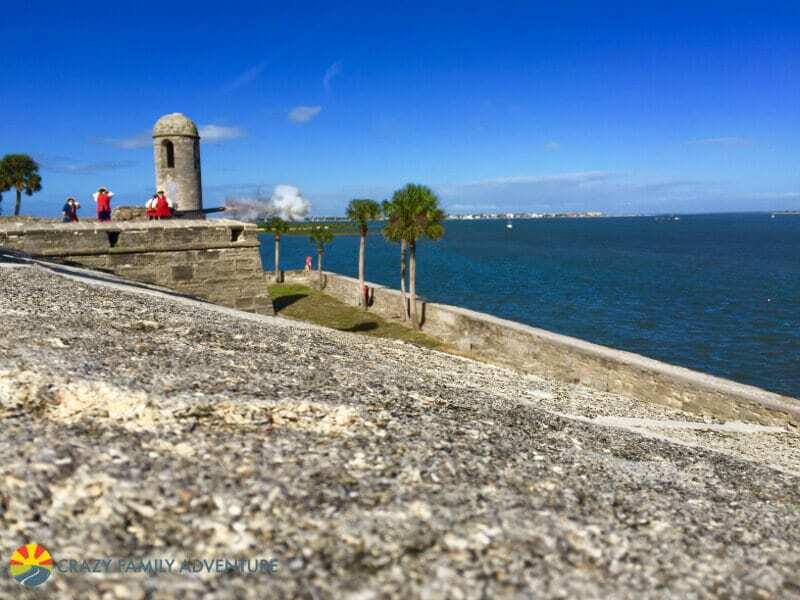 This 17th-century fort is a breathtaking structure in St. Augustine that looks out over the water. It was built with a form of limestone called coquina. It is a softer stone and would seem to not be the right choice for a fort, but it was the exact opposite. Instead of a cannon ball destroying a wall it would just burrow its way into the wall and get stuck there! There was so much history to see, hear and feel when at the fort. Plus there were tours, a cannon demonstration, and a Junior Ranger program. 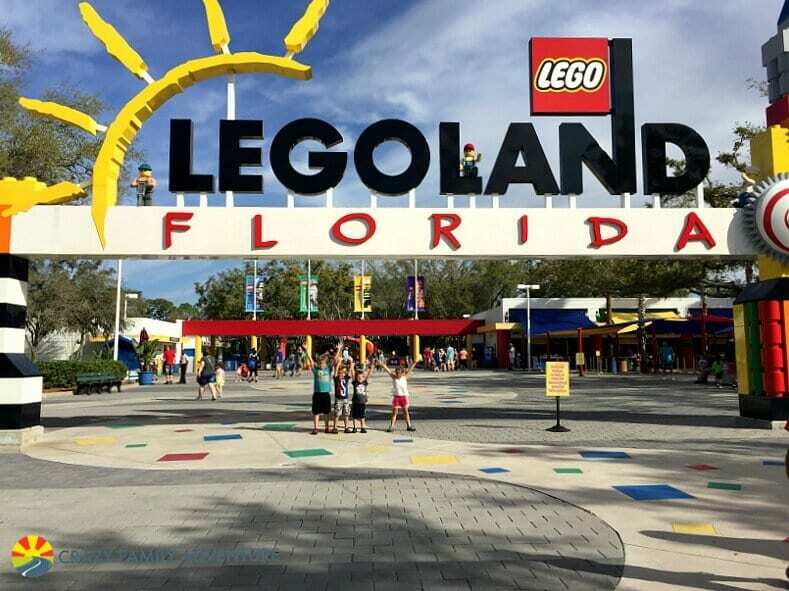 Put this on your list of places to see in Florida with kids! If you are looking for an overview of St Augustine and to learn about the history jump on an Old Trolley Tour. The tour will take you around the city with 23 stops – where you can jump on and off the trolley all day long. It highlights over 100 points of interest. 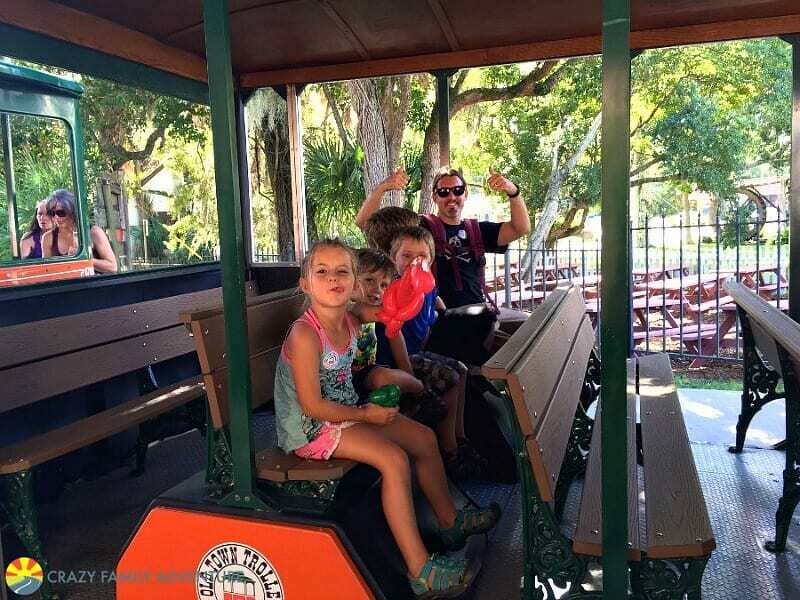 It is a great way to get around the city and to learn some great trivia about St. Augustine. P.S. we recommend jumping off at the winery for a free wine sampling as well as the distillery! It will be the best ride you’ll never remember! Northern Florida is beautiful and isn’t always as hot and muggy as central or southern Florida. We recommend visiting Northern Florida in the fall (September, October, November) if you are looking to go when the weather is just starting to cool off yet warm enough to still enjoy the ocean. We recommend the fall (September, October, November) if you are looking to go when the weather is just starting to cool off yet warm enough to still enjoy the ocean. Then we move on to Central Florida. As you can imagine most of the busy cities are located on the coasts. Except for Orlando where the main Florida attraction is located – Walt Disney World. Disney is amazing but there are a lot of other cool things to do in Central Florida. Siesta Key Beach is known for its huge stretch of soft white sand. Seriously, once you park which can be a challenge at this uber-popular beach, you will walk for what feels like a mile to get from your car across the beach to a spot by the bright blue ocean. It is worth it. Just keep in mind the trek to the beach and don’t bring every beach chair and sand toy that you have. There is a concession stand and bathrooms located by the parking lot so you don’t have to bring your own food if you don’t want. The surrounding town is a cool beach town if you are looking to stay for a night or head out for dinner. 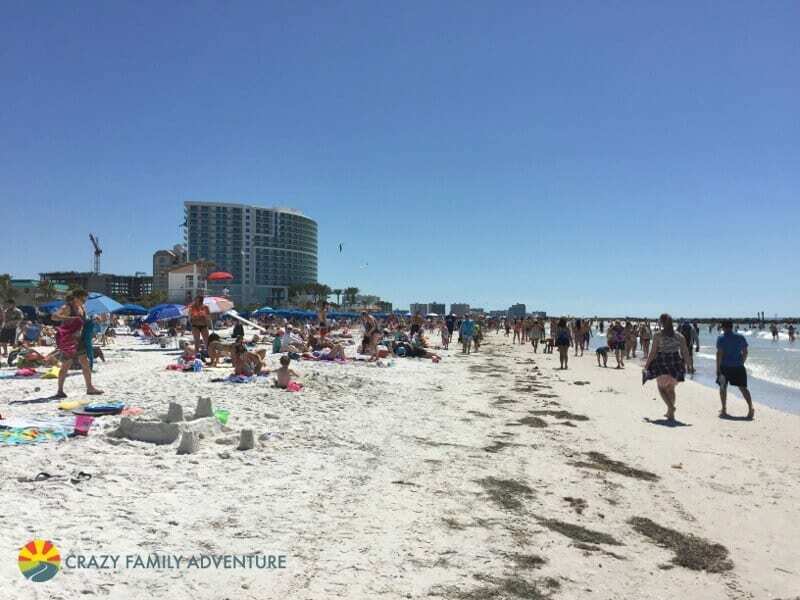 Clearwater Beach is located a little north of Siesta Key and has the same beach vibe. However, the beach here is smaller. This gives the whole area more of a beach city vibe since you can easily walk from the beach to the local shops and restaurants. This is another popular beach area so if going during spring break or another holiday expect a lot of people and some issues with parking. Discover more beaches in Florida here. We have such a love/hate relationship with Orlando. 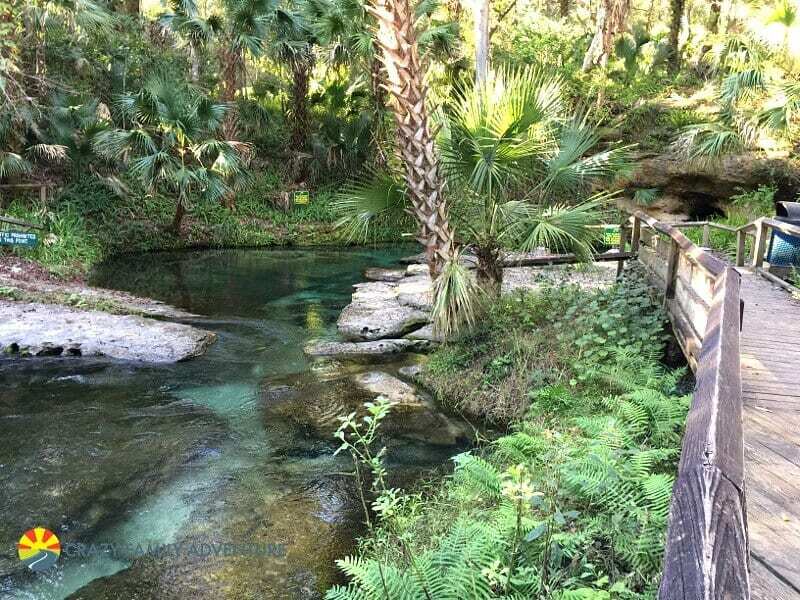 There are so many cool things to do in the area and it’s probably the most popular place to visit in Florida with kids, but everything is pretty expensive and you can literally spend thousands of dollars in a mere day or two. Be prepared. Our recommendation is to pick one park and plan on spending a day there. Get there early, plan on spending the whole day, and bring your own food (this along will save you a LOT of money). 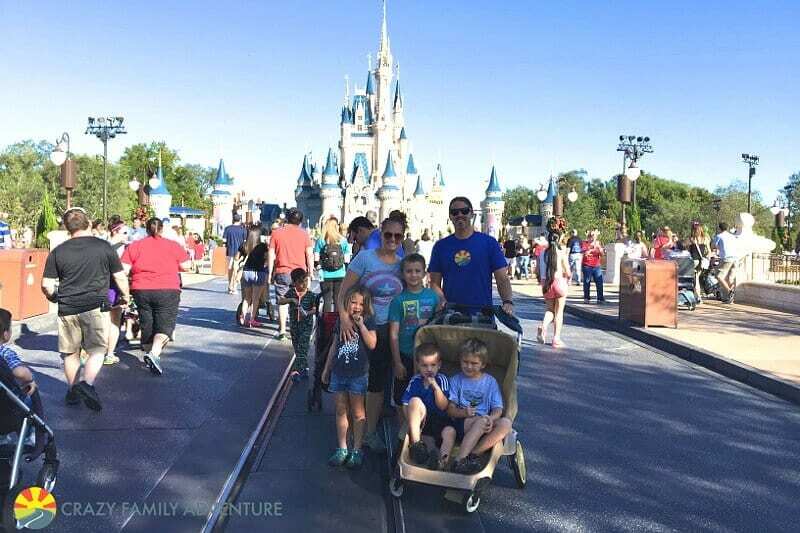 We chose the Magic Kingdom and have really enjoyed ourselves each time we went. Even through all the crowds and the chaos you still get a magical feeling when you go to the Magic Kingdom, it’s definitely one of the most fun places to go in Florida! I don’t know how they do it, but ALL of the employees are super nice and they do an amazing job with all of their shows/entertainment. 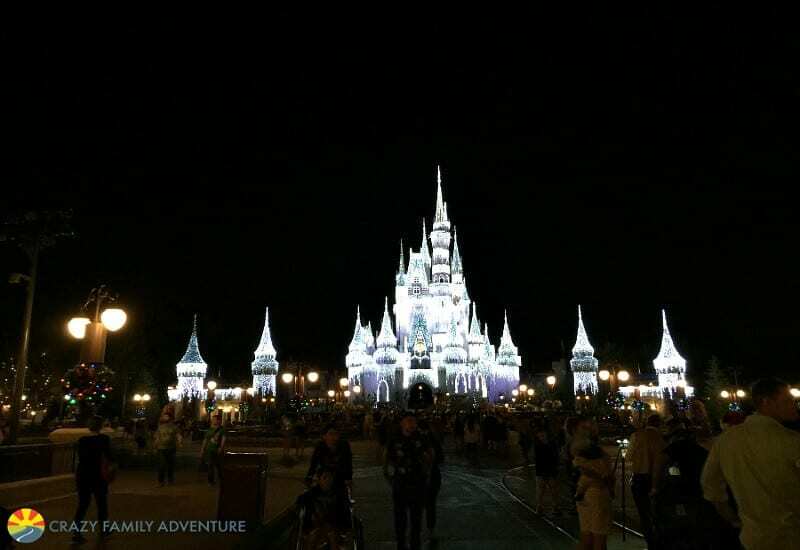 So, yes, if you visit Florida you should spend at least a day at Disney World, but just know Florida is so much more than just amusement parks and Mickey Mouse. Save some of your money so you can enjoy the other parts of Florida too. Check for deals on Walt Disney World tickets here. 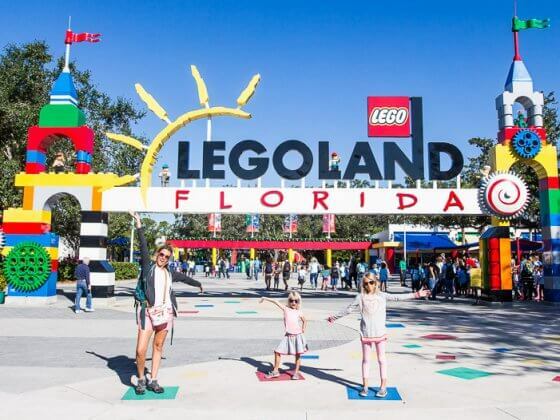 If your kids are between 4 and 10 years old and you are looking for a less expensive option, then Legoland is the place for you and another popular Florida attractions! We had such an amazing time at the park and the hotel was an awesome experience. The majority of the rides are geared towards younger kids so there are a lot of things they can go on and activities they can do. You can also bring Lego figurines from home and trade them with the employees – we love little touches like that! Tubing by Orland was such a pleasant surprise. I have always said why visit Florida if you can’t be by the beach (with Disney and Legoland being the exception)? Then we found Kelly Rock Springs. WOW! The water is crystal clear and you feel like you are in a fairytale world as you float down the river with greenery surrounding you on every side. It was a surreal experience with a little fear mixed it. You felt like an alligator or a panther was going to jump out of the trees along the river! Some of the kids really enjoyed it and were swimming along with our tubes and diving down into the water. The other ones wanted out ASAP (I think they had the same fears I did!). 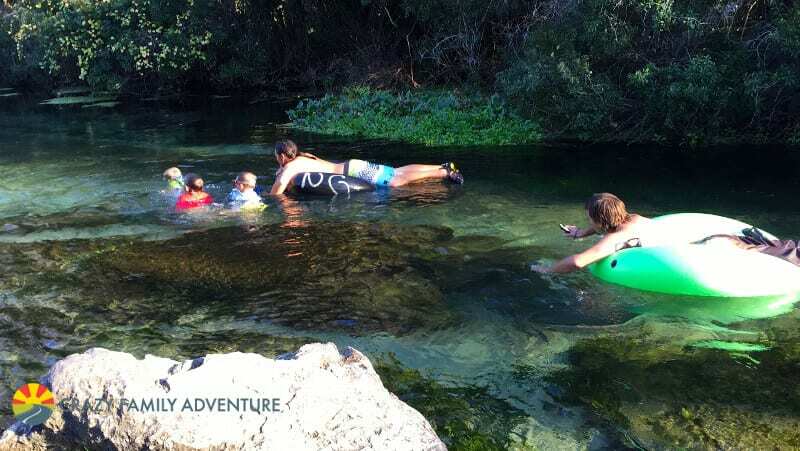 In any case, it is well worth making a stop at Kelly Rock Springs to tube down the river or just hang out by the beach there. 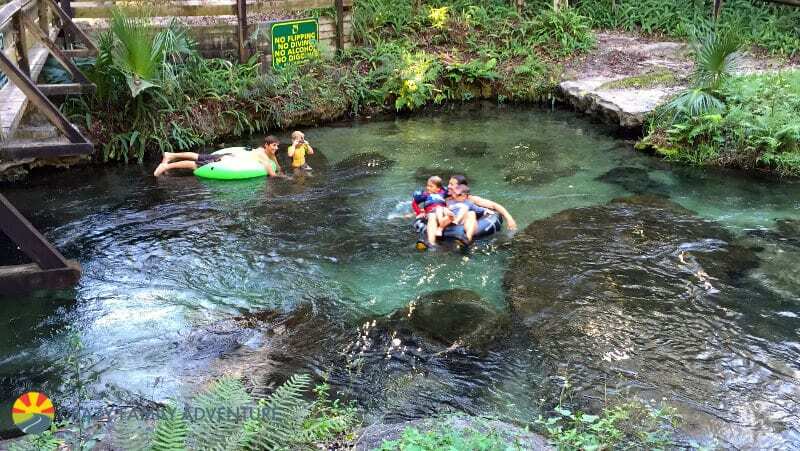 We have visited a couple other springs in Florida and it really is amazing how clear the water is and lush the greenery is. 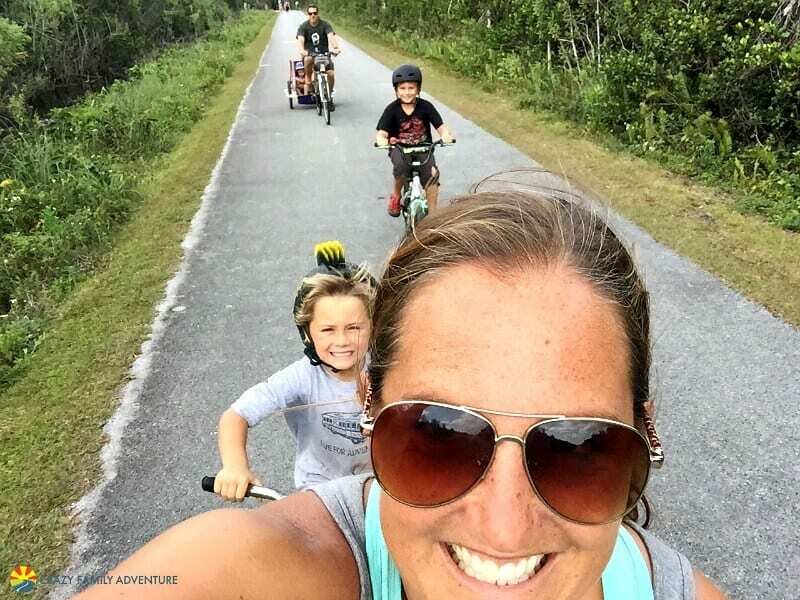 Central Florida offers such a variety of things to do in Florida with kids from amazing beaches to some of the best amusement parks in the world, to an amazing nature experience. Don’t just think Orlando when heading through Florida – there are so many other great things to do in this part of the state. 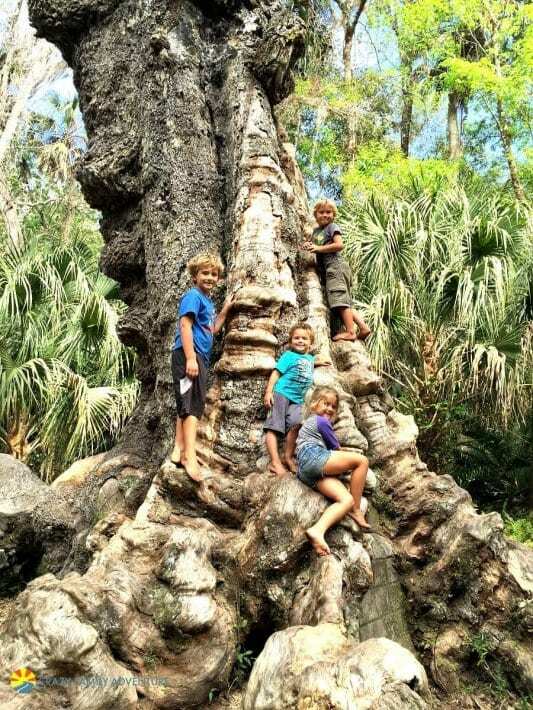 Another reason we are glad we spent time exploring more of inland Florida was Highland Hammock State Park. This state park is one of the oldest state parks in Florida and definitely had a feel of going back in time. You could tell the trees were hundreds of years old and there was history throughout the park. We went on an amazing hike that took us over a swamp area with a small walkway and through trees that were made for climbing. Definitely worth visiting Central Florida and leaving the beach to see the beauty of Highland Hammock. We now head down to South Florida which includes Little Havana, the Everglades, and the Keys. You could spend months just in southern Florida with everything there is to do here. Before getting too far south, you can make your first stop at Palm Beach. This beautiful city is filled with million dollar houses and a beach that goes on for miles. The beach itself isn’t the prettiest in Florida. 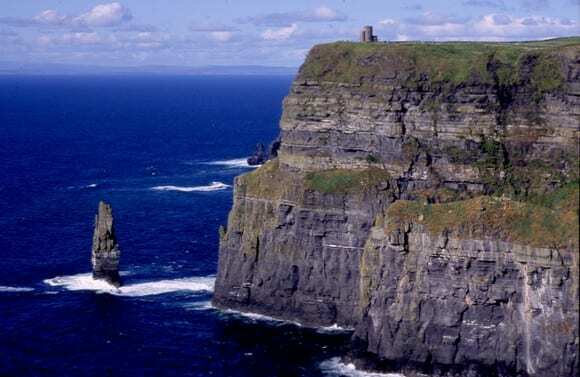 It is on the Atlantic Ocean side so the water isn’t as blue and is normally more wavy. We really enjoyed the Palm Beach Zoo. 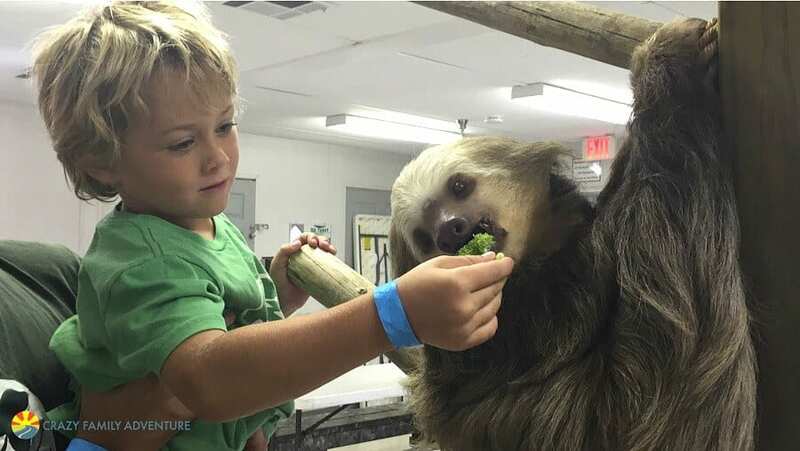 Both were the perfect size for younger kids and we were able to spend a whole day exploring the Zoo and even got a chance to feed a sloth! Miami is definitely a world in itself. With the Cuban culture that is so prominent, you almost felt like you were in another country. 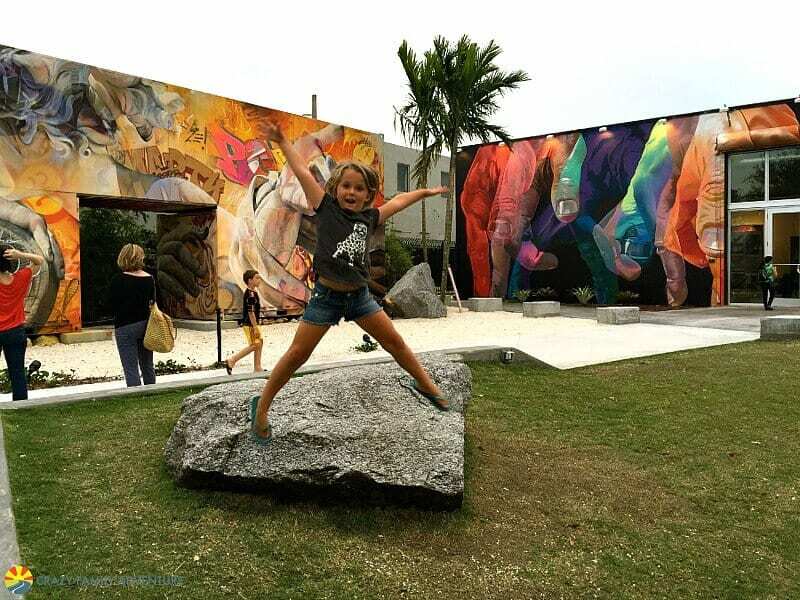 There are plenty of cool Miami neighbourhoods to explore! 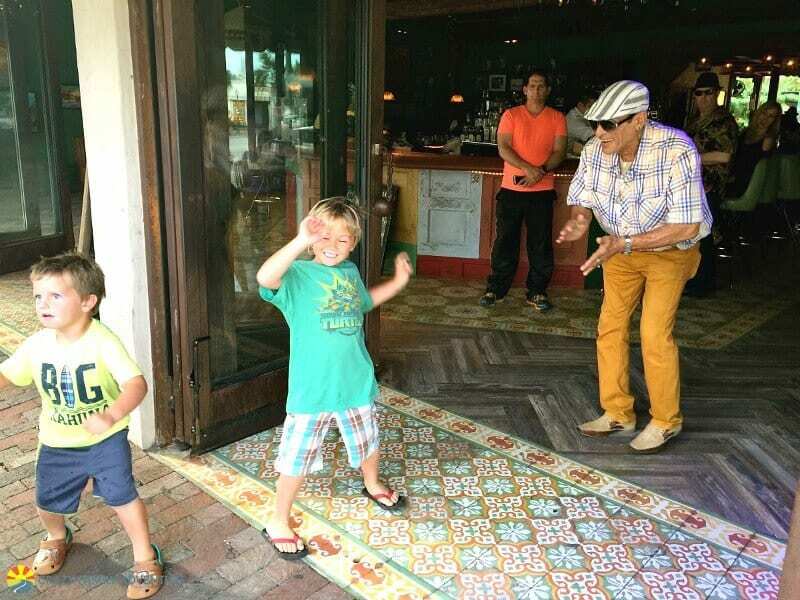 We spent one afternoon in Little Havana and we had a blast dancing on the street to live Cuban music and then heading over to watch the people playing dominos in the court. Of course, we had to check out A1A Beachfront Avenue. Vanilla Ice told me to. It was just what you would imagine it to be. Half naked girls dancing on the tables at 2pm in the afternoon, muscle men walking around flexing their muscles, and girls in teeny tiny bikinis. We tried to park to get out and explore a little bit, but unfortunately, parking was impossible! We were glad we took a drive through. You drive through this up and coming retro part of the city and see amazing graffiti artwork on all of the walls of the old warehouse buildings. Then you get out and walk among the artwork and it is so bright and colorful. There are amazing and unique restaurants in this area of the city as well. This farm is on the outskirts of Miami, but so worth the drive. 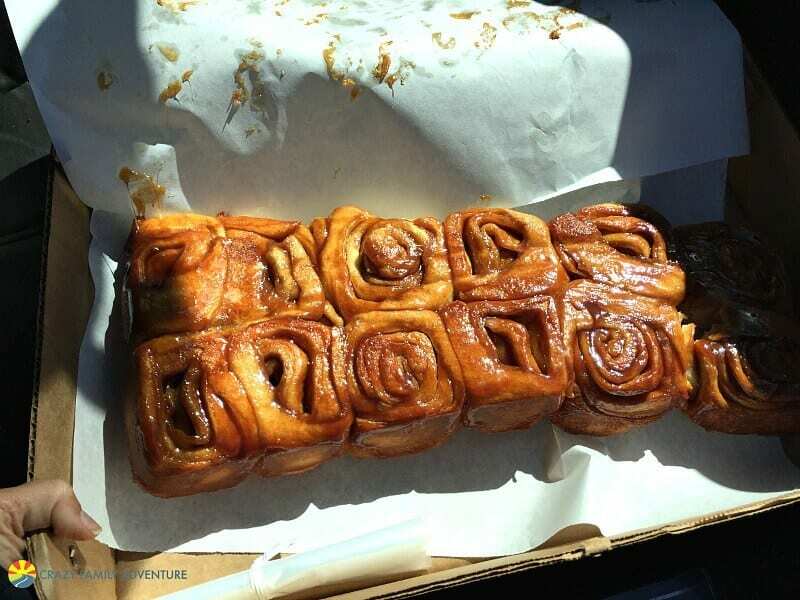 These were the BEST cinnamon rolls we have ever had. And we have sampled a lot on our travels. Make sure you get there early, they sell out almost every day. The Everglades National Park is a must stop location and one of the best places to visit in Florida as a family. 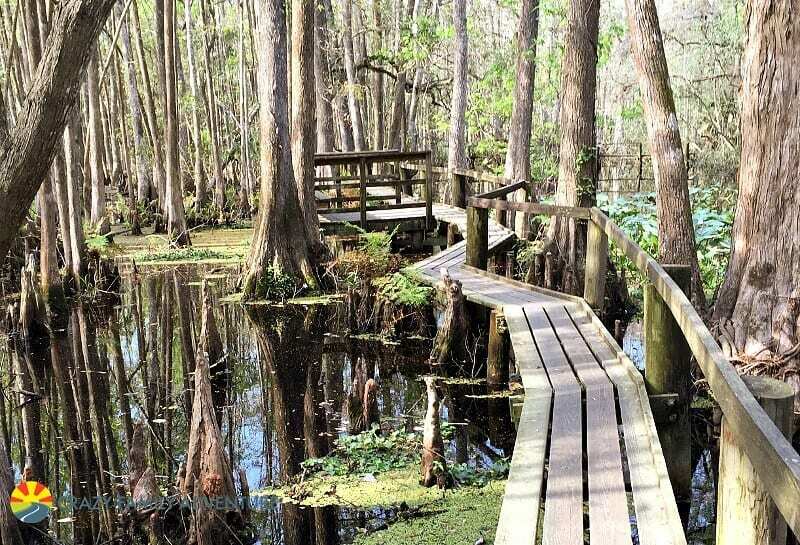 The park covers the majority of the southern tip of Florida and contains miles and miles of wilderness that are filled with alligators, snakes, birds, and who knows what else is lurking in the water! One of the highlights of our time in Florida was biking the 15 mile Shark Valley trail in the Everglades. You start at the Shark Valley Everglades National Park visitor center (expect possible delays when entering the park – there is limited parking so you sometimes have to wait until someone leaves before you can enter). You park your car, unload the bikes, and head out on the trail. 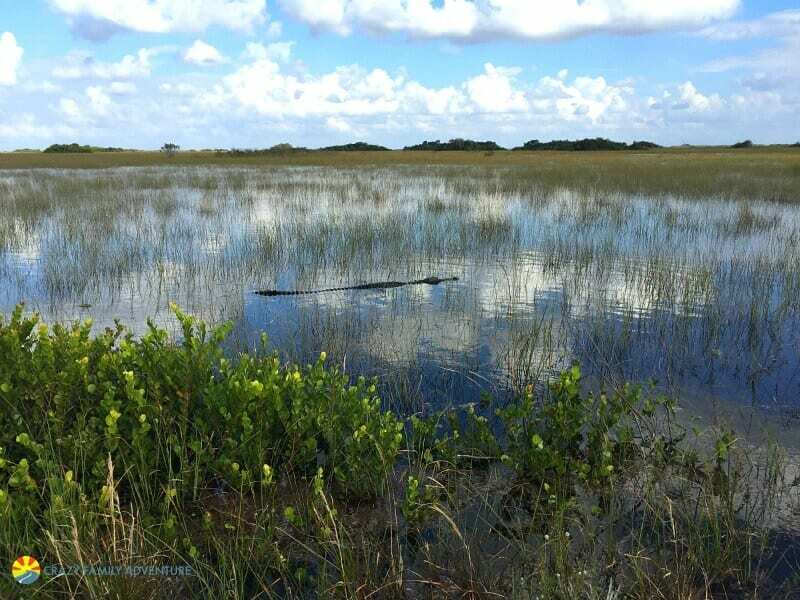 The trail takes you about 7 1/2 miles into the Everglades where you are biking right past alligators that are 8 feet long sun bathing on the side of the bike path. You then reach the lookout tower where you can climb up to the top and look out at the Everglades as far as your eye can see. It was a surreal experience standing there looking out at the amazing landscape of the Everglades and just imagining what was out there in the waters and trees. You then head back down to bike another 8 miles back to the visitor center. The trail is a circle so you have different scenery on the way back then you did on the way there. The trail is a circle so you have different scenery on the way back then you did on the way there. We went after there had been raining and we did have to bike through a couple of inches of standing water at some points. It was an unforgettable experience when we biked through the water with an alligator laying in the water right next to us! If you aren’t up for biking, you can take a tram ride (though you do normally have to book tickets days in advance during the busy season). The tram was driving a lot faster than we were biking, so I know they missed a lot of the alligators that we saw. However we were glad the tram was running just in case something happened to one of our rusted old bikes, plus we have never biked this far before. When it was said and done we were so glad that we did it. 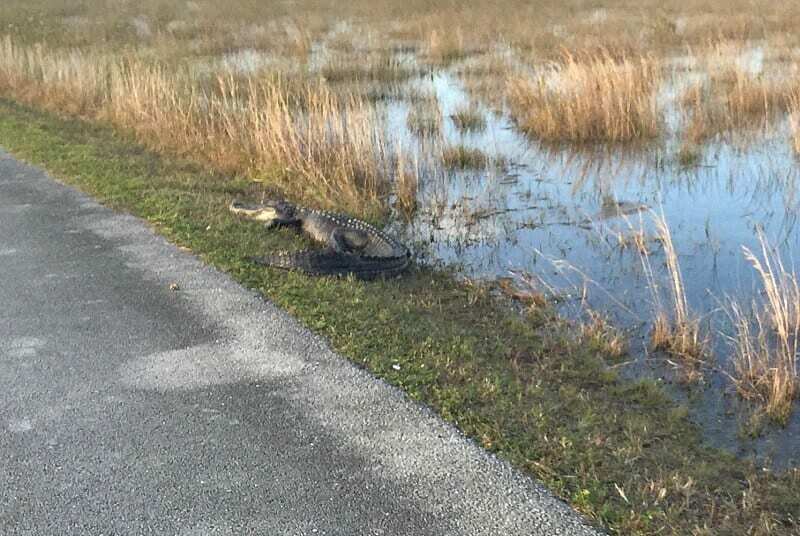 There was some tears from the kids (based on fear of biking right past alligators) and some shaking by me – as we rode by a humongous alligator. But it was one unforgettable experience and we would recommend it to anyone that visits the Everglades. An alternative, or added, option, is an Everglades airboat tour. Our home away from home. We love the Florida Keys and it’s at the top of our list of favorite places to visit in Florida. When people think of the Florida Keys, they normally think of Key West. So they’re probably thinking lots of drinking, partying, and naked people. Yes, that does happen in Key West, but if you leave before sunset, you shouldn’t see much of it. 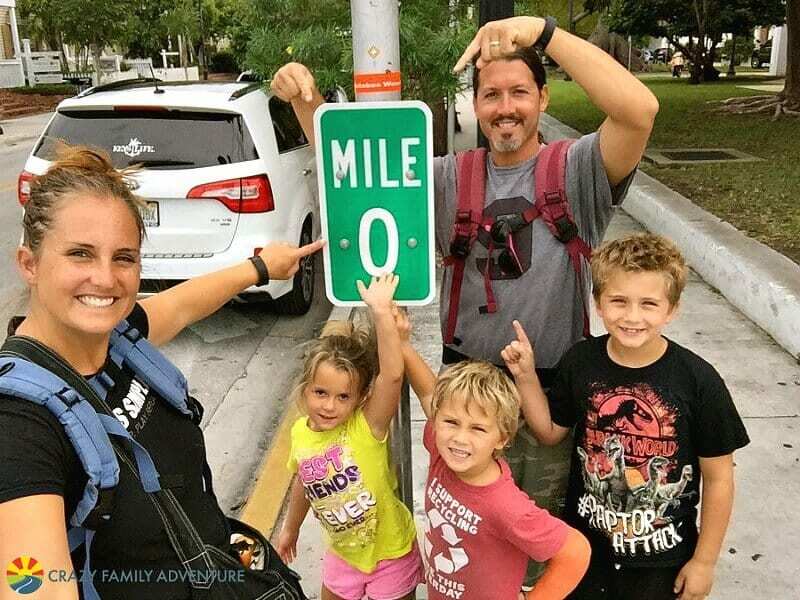 During the day Key West is a great family travel destination. Plus the Keys stretch for 100 miles, so there is a lot more to them than just Key West. 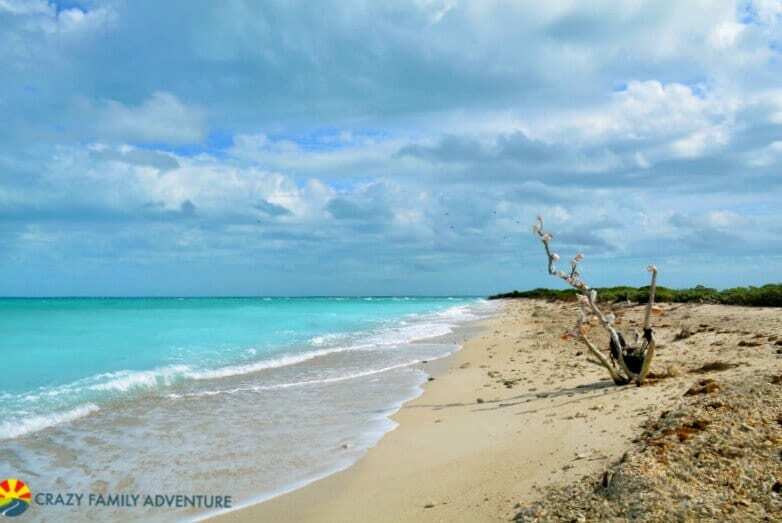 This beautiful state park is located in the upper part of the Keys and is known for its snorkeling. You can literally swim off the beach to go snorkeling. Make note that beaches in the Florida Keys are not like other beaches in Florida. Since the Keys are surrounded by a reef it stops the beaches from having that beautiful white sand. But no worries the water is still beautiful! You can also take a glass bottom boat tour from John Pennekamp to get out on the water and see underwater without having to get wet. Beware – sea sickness can occur – so be prepared! Or you can rent a kayak and kayak through the mangroves. 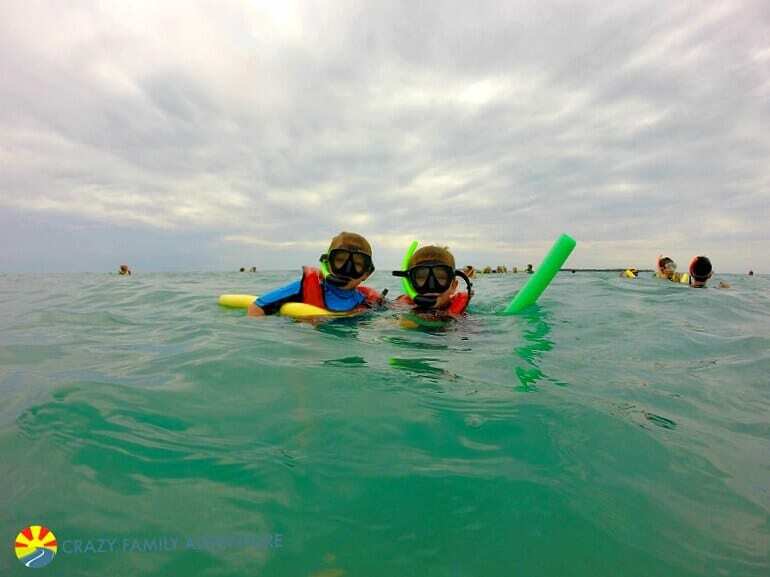 Or go out on a snorkeling adventure off the beach. 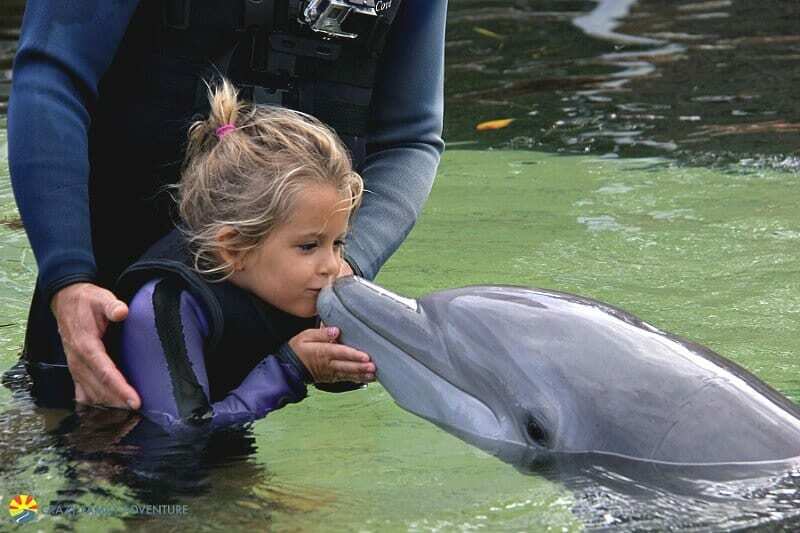 If swimming or being in the water with dolphins is on your bucket list, Dolphins Plus is a great location to do this. 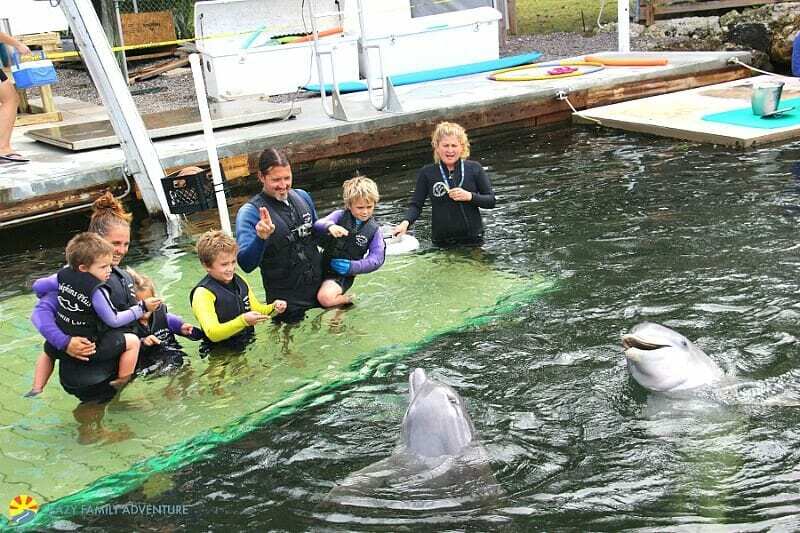 You have to be 8 to swim with the dolphins, so if you have younger kids you will be doing the in-water experience. You stand on a platform and are lowered into the water to about waist height and an instructor works with the dolphins as they swim up to you and you can kiss them, play with them, and pet them. Learn more about playing with dolphins here. 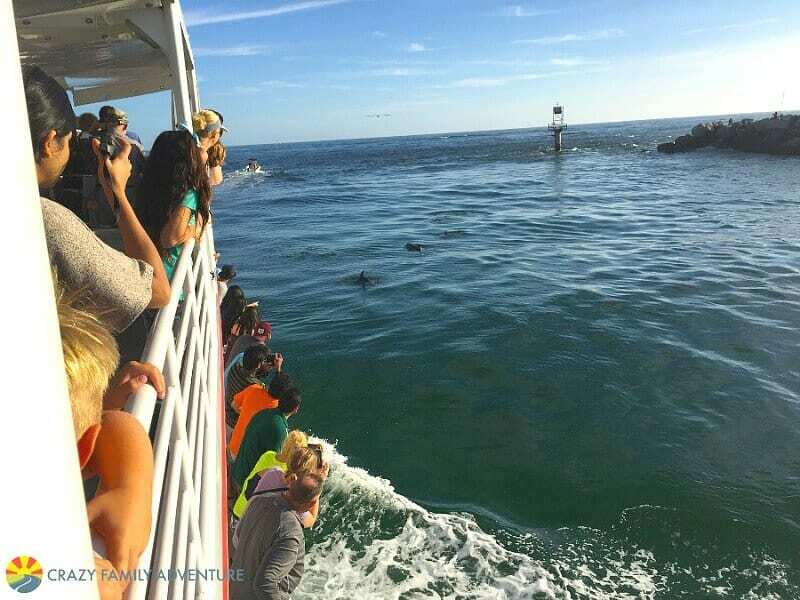 Here are some dolphin tours to check out. 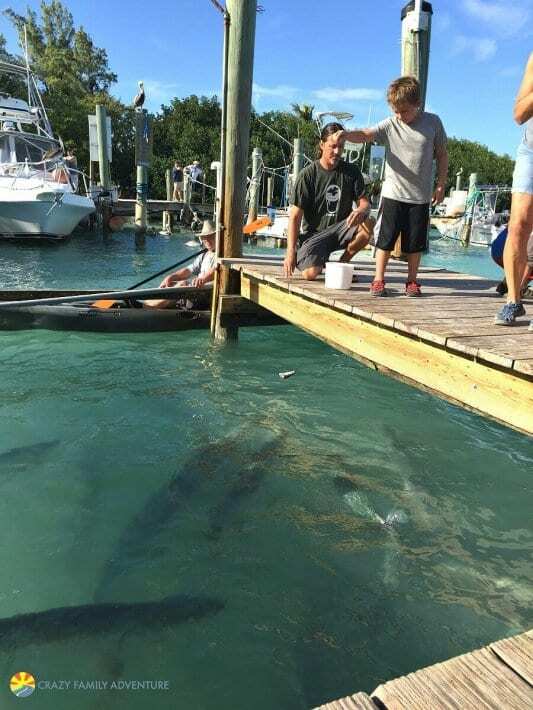 Not to be missed on your trip to the Keys is Robbie’s, where you can stop to feed the tarpons. For a $1 you are given a bucket of fish. You walk out onto the pier and see a swarm of humongous tarpon just waiting for your fish. You drop them right in the water or if you are feeling brave you can hold a fish out and wait for the tarpon to jump out of the water for it! 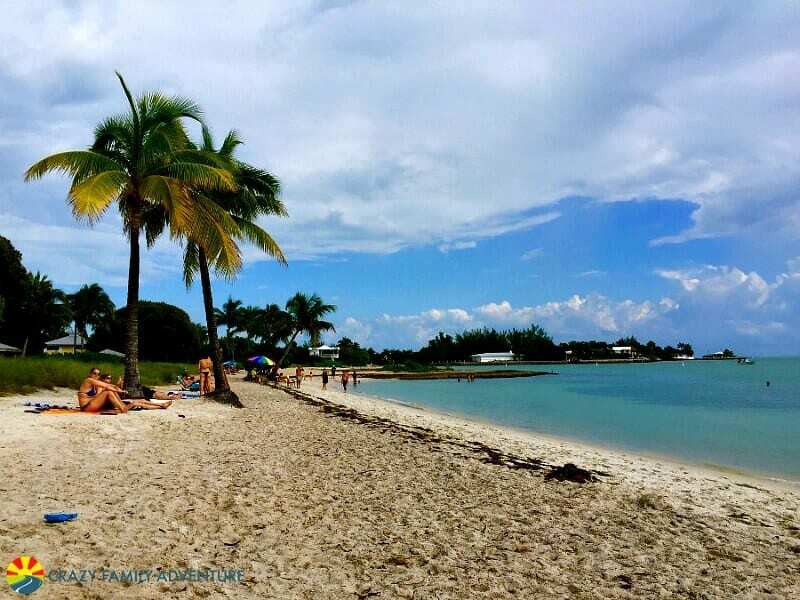 Here is one of the few beaches in the keys that does have nice sand. 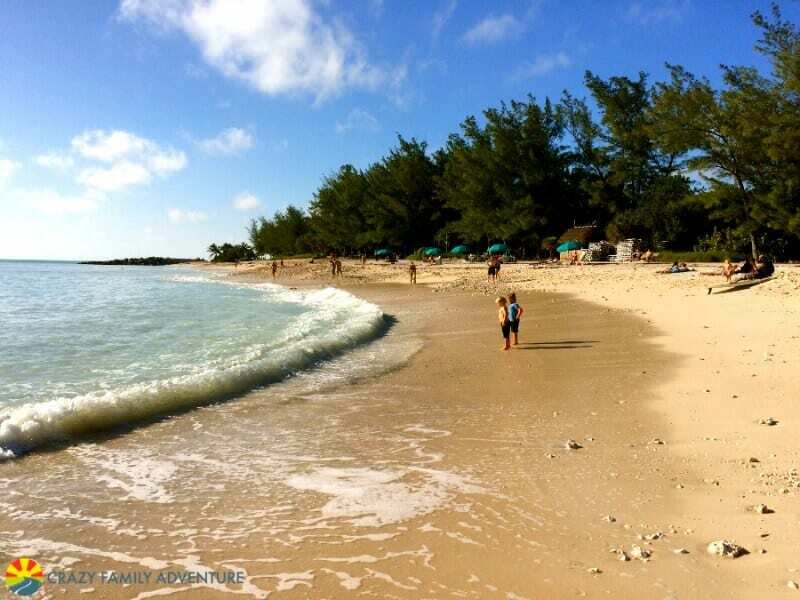 If you are looking for a beach day, head to Sombrero Beach. You can spend your day lounging on the beach, swimming, or playing in the playground. As you head down to Key West you will drive over the 7 Mile Bridge. It is quite the experience and filled with breathtaking views. Before you start your drive across the bridge you can pull off and park to walk out on the old 7-mile bridge for a few miles before the bridge ends. Key West has a very Caribbean vibe to it. It is a great location to get an island vacation without leaving the US. You can spend the day walking the streets and checking out the shops and restaurants. Be sure to stop to get a Key Lime Pie. Or you can spend the day on the beach or out on the water. This is another beach that has a little bit more of a Florida beach feel to it. It is a great place to spend another beach day and catch an amazing sunset. 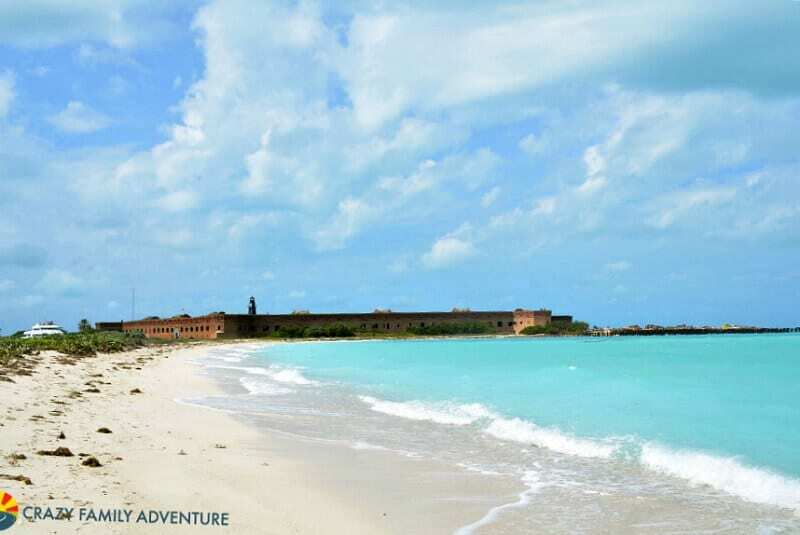 You can also explore Fort Zachary Taylor from here. If you want to spend the day on the water, the Fury Ultimate Adventure is for you. This 6-hour catamaran ride that includes snorkeling, jet skiing, parasailing, and playing in the ocean on inflatable climbing structures. All with food and all the beverages you can drink. Another catamaran snorkeling option is here. 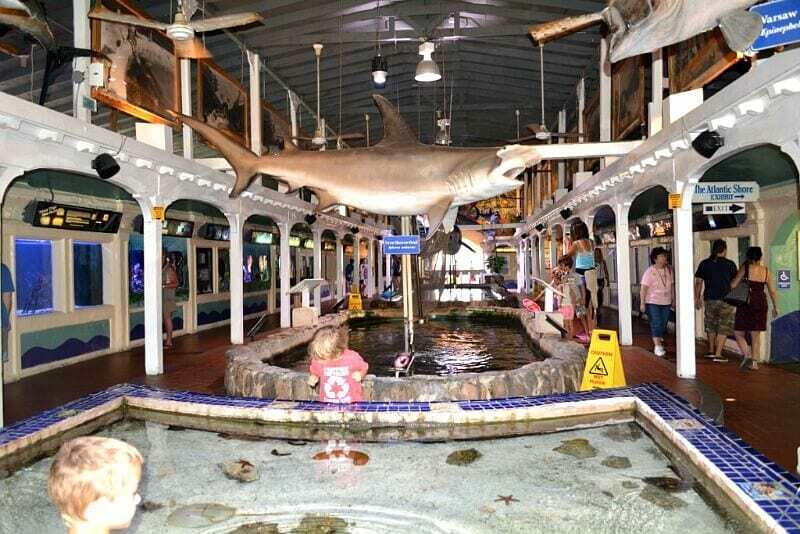 If you are looking to feed sharks and pet stingrays, make a stop at the Key West Aquarium. It isn’t a big aquarium, but it has a lot of hands-on activities and you can walk right up to an open shark pool to watch these amazing creatures. They also have a variety of programs that you can listen to and learn about sea life. 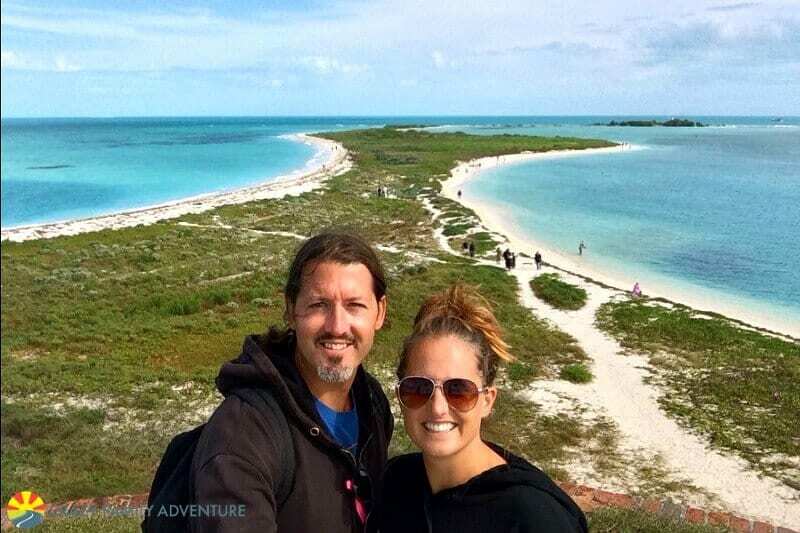 If you have the time, you will want to plan an overnight camping trip to Dry Tortugas that will be an experience like no other. If you don’t have time for an overnight, plan on spending the day, it’s beautiful and one of the best places in Florida! You take a 70-mile boat ride out to the island and once you reach it, you have a few hours to walk around the island and explore the fort. 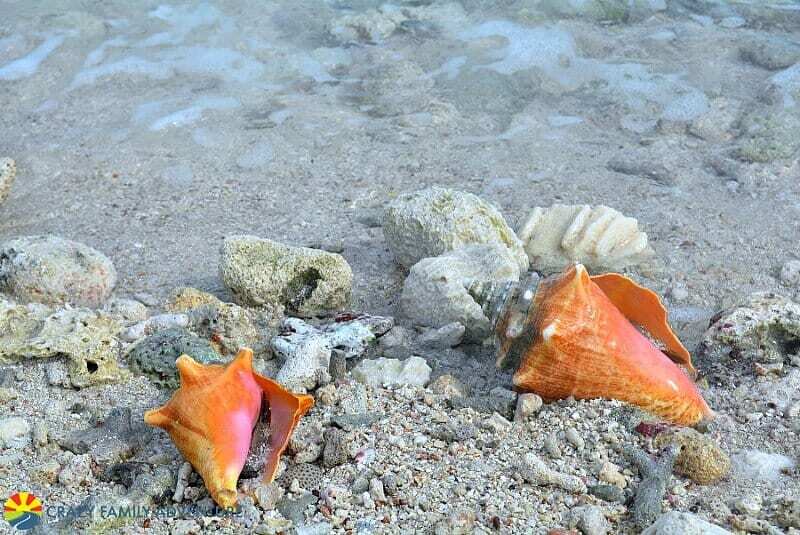 If you walk to the far end of the island you can see hundreds of conch shells that have washed up on the shore. There are some that are as big as your head! The water is shades of blue and green that you will think someone Photoshopped. You can hang out on the beach and watch the birds fly around and listen to the waves hit the beach. Then you can explore the fort and get a feel for how the soldiers use to live on this island out and in the middle of the ocean with no one around for miles and miles! There is a dry campground on the island and unfortunately, we weren’t able to stay overnight but know people who have and they said it was an amazing experience. We can’t wait to plan a trip back to camp for a few nights. To see the stars here and to experience the remoteness would be quite the experience. 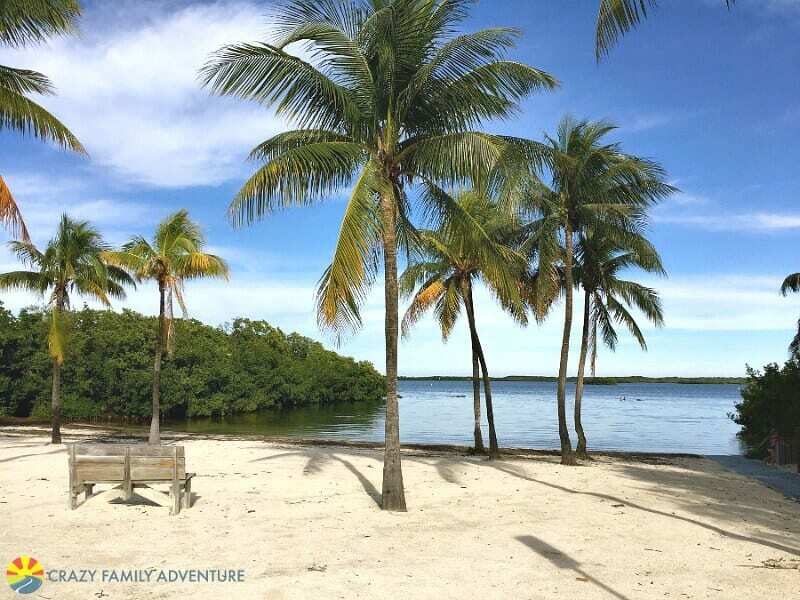 The Florida Keys still rank as one of our favorite destinations for families to this very day. To see why, check out all of the great memories we made there. There you have it! Our list of the top places to visit in Florida. You could do this in a fast moving 2 to 3 week road trip, or become a snow bird (people who head south for the winter) like we did for 6 months and take your time exploring all this state has to offer! 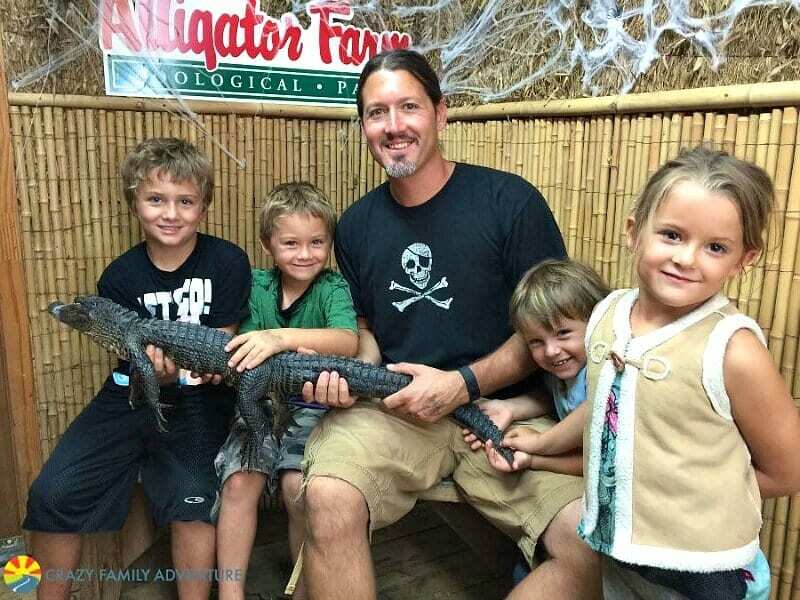 Consider grabbing a Florida Attractions Pass to save you money on tours and entry fees. Booking.com has over 17,000 properties in Florida including hotels, apartments, and resorts. You get free cancellation on most rooms and a best price guarantee. RentalCars.com is the world’s biggest car rental booking service that compares all the major brands like Hertz, Avis, Alamo, and Europcar with locations in Miami and Orlando airports. Get Your Guide offers a wide variety of tours and attractions. 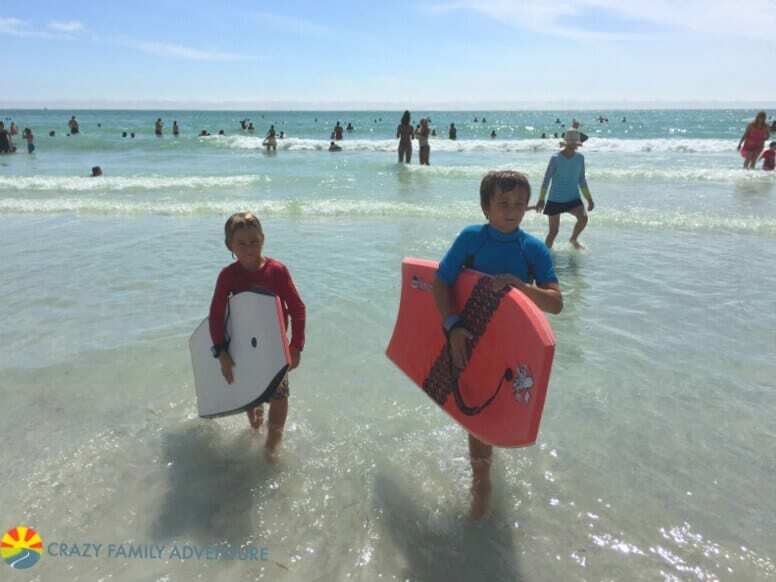 Do you have any tips on where to go in Florida?What other fun things to do in Florida with family can you suggest? Share in the comments. Bryanna definitely highlighted a great list of places to visit in Florida. I think we’ll be spending quite some time there in the state ourselves! 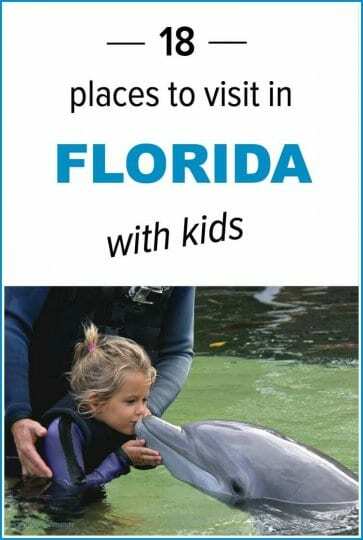 Great list of places to visit in Florida, Looking forward to take kids and family there. Kids are going to enjoy for sure! One of the best articles on the web on places to visit in Florida!, Really looking forward to. Nice clear pictures truly captures the beauty of the state! Yep, we agree. Bryanna did a great job of highlighting the best places to visit in Florida. Lot’s of inspiration and information. Cheers. 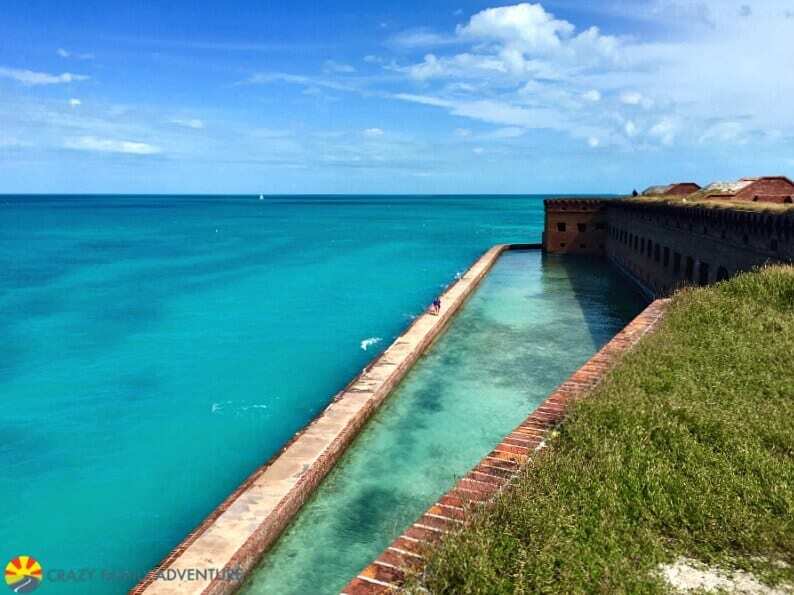 Wow we seen Dry Tortugas National Park before but now that you guys mention it again we need to go visit that place this winter hopefully! Well Florida is a place with attractive destinations and the northernmost islands lie along the Florida straits covered by seven seas. If we talk about map of Florida Keys, from key west to the ragged keys in Biscayne National Park. Island can be traveled by motor vehicles on the overseas highway. Great information shared keep it up…. Mrs. Murphy’s in southwick, ma. Has the best doughnuts ever! Whenever I’m in th at area I savor a plain or cider doughnut! Soooo good!! Almost everyone knows for a fact that Florida is known as one of the most popular places to go on a vacation to. Here are some of the top florida destinations you should visit. 1. Winter Haven 2. St. Petersburg 3. Ft. Mayers 4. Keywest Of course, if you go on a vacation in Florida, you should definitely visit Miami and South Beach. Here, you will be able to live in style. This is the place for people who really loves the beach and also for people who loves fishing. Hollywood FL to visit the Hollywood Boardwalk reminds me of California. There is also a Margaritaville resort that looks cool…but we haven’t stayed there yet. Thanks for the extra tips! We plan to explore more of Florida over the winter so can’t wait to check these out. I have a good experience of Pensacola because I have been there numerous times in my whole life to enjoy holidays and always spent remarkable time with my family and friends. It was a memorable moment of my life while I was enjoyed stunning views of nature beauty. Wow! i absolutely loved this post…we are planning Florida in mid-Dec – for 6 short days – can you help us make the most of our time there? You found Somnbrero Beach? and Knaus? Dang, two of my favorites. Well done! 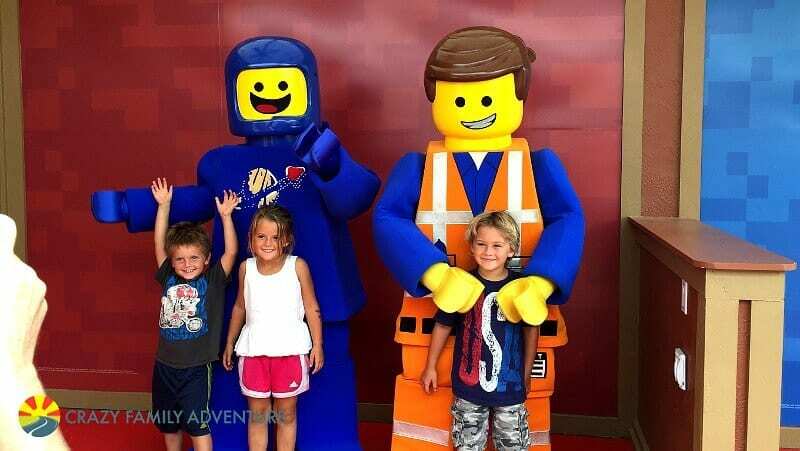 Hello Bryanna and Craig, loved reading your article on Florida with Kids! We are traveling to Florida this summer (mid July) from Norway. Unfortunately we only have 10 days… We would to stay at one place and use that as base to explore nearby sights, but also just relax go to the beach and so on. Which area in Florida would you recommend? Our kids are 4, 7 and 9. Hello Caz, thank you so much for your reply! I didn’t know about the rain and the mosquitos… well the tickets are booked so.. We didn’t want to do all the theme parks maybe just one. 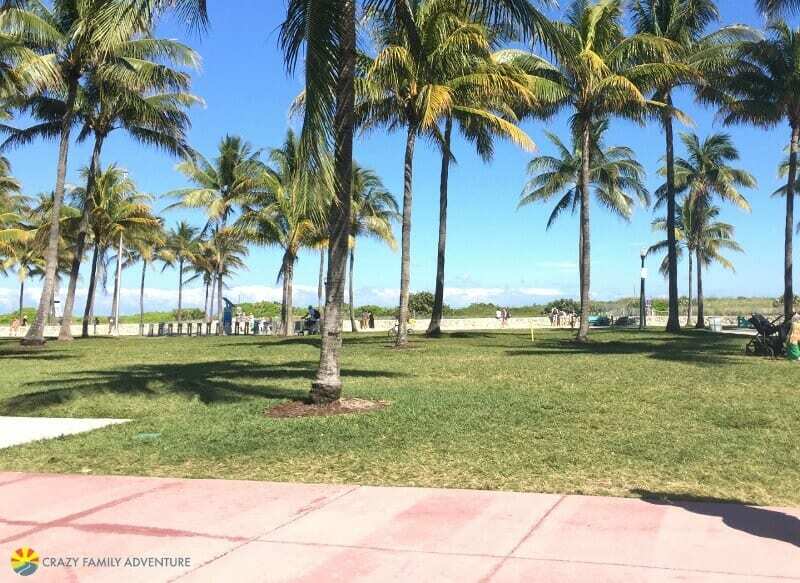 Friends of our recommended Key-West, but I don’t know if it is a place to go with kids!? We would love to stay a place where you can rent bikes, go snorkeling, paddle boarding or other activity’s with kids. Again thank you so much for your reply. This may be the best post on Florida I have ever found! I am moving there in a month or so and have been obsessed with finding out what to do when I am there, in addition to finding my way around, I want to know what is around me and what is worth driving too, and it looks like you had an amazing trip! I have sent this URL to several of my family members and we are planning our trip together based off of this. Just wow. Thank you so much for sharing. And I have to say your family is so beautiful! we visited blowing rocks preserve just north of cocoa beach on east side of florida gorgeous! Great article! very informative and this is awesome suggestions for travel to Florida.Thanks for the guideline. It’s very helpful.